The Delta Sun Times is pleased to announce we are the Exclusive Media Sponsor for Leer Vineyards! This is a wonderful, family operated winery located right in our back yard, off Byer Road. The Delta Sun Times is happy to share with you all of the exciting community events Leer will host each month. 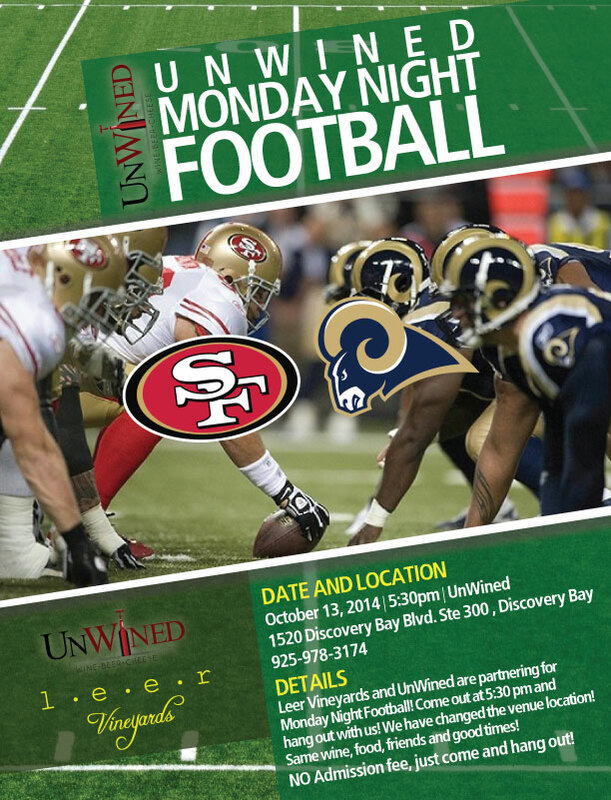 This week, we can share great news about two new local businesses, as Leer partners with Discovery Bay’s new wine and cheese bar, Unwined! Monday, October 13 for Monday night football!